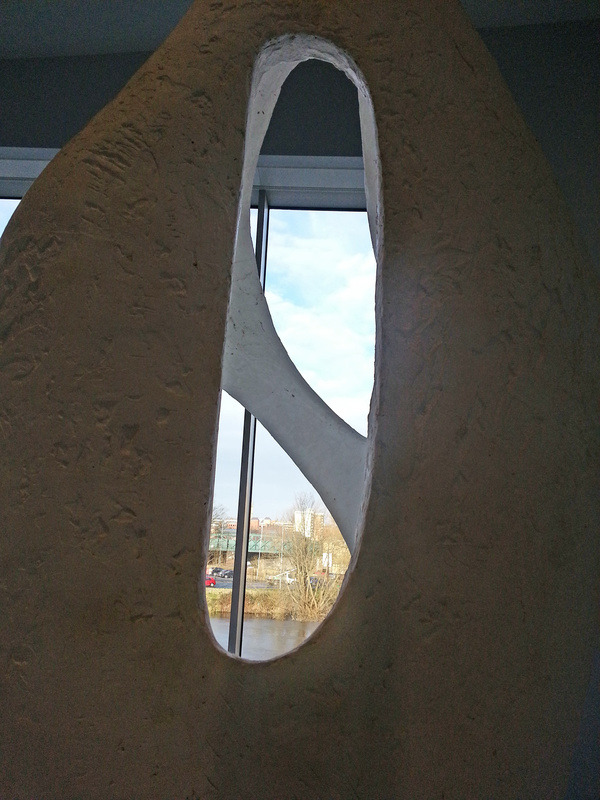 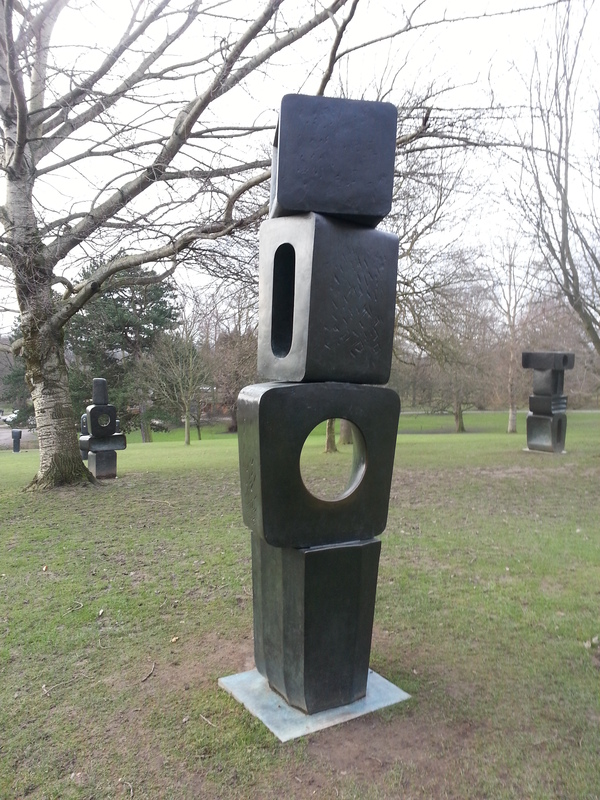 During our week of culture up in Yorkshire we appreciated seeing in real life the work of Barbara hepworth at the Yorkshire Sculpture Park and naturally at the Hepworth Wakefield Gallery. 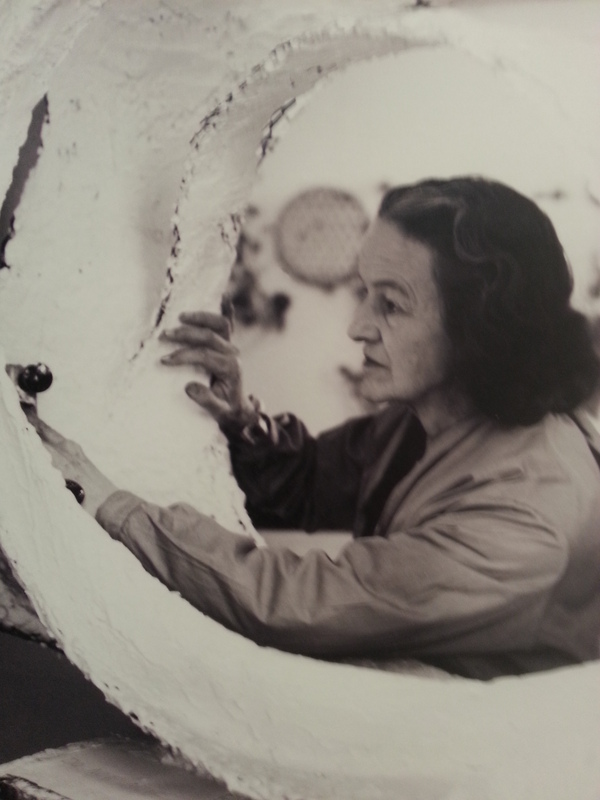 She is probably one of the best three 20th century sculptors in the world, and I must admit one of my favourite of all time. 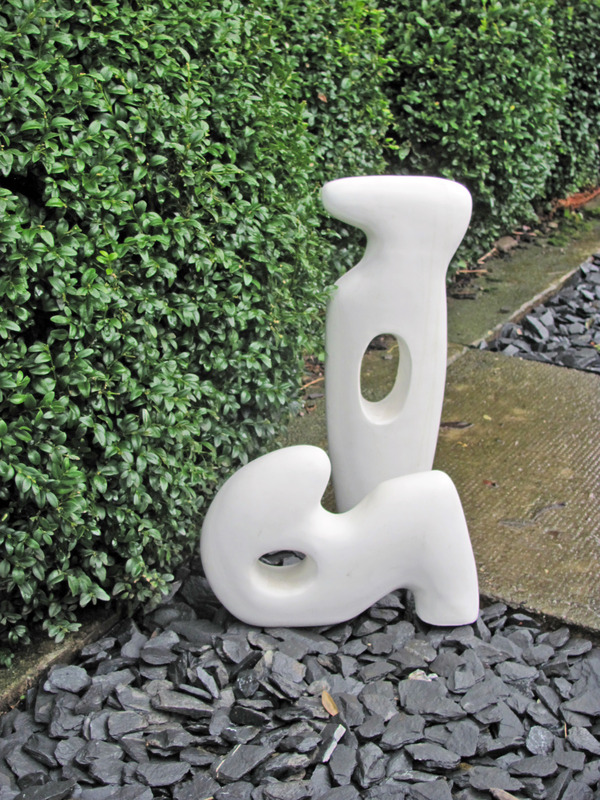 We originally saw some of her pieces in St Ives exhibited in the garden of her Cornish studio where they looked very much at home. 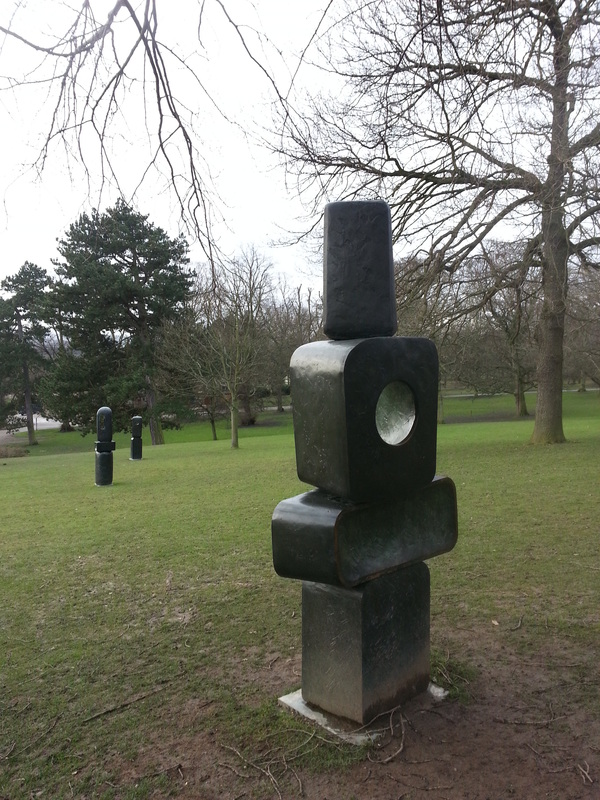 Her sculpture is displayed in her gallery and garden at the home she lived in there. 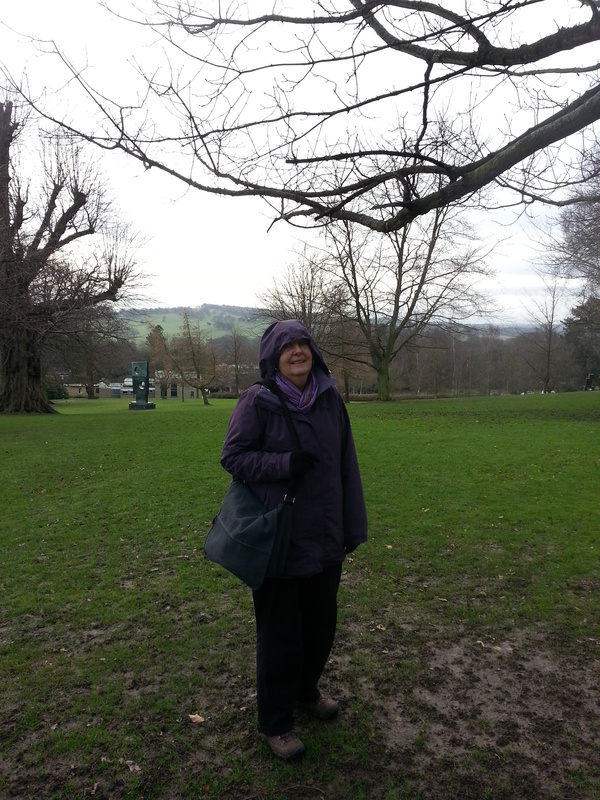 This visit was several decades ago so seeing more of her work recently has reminded us that a return visit to St Ives is well overdue. 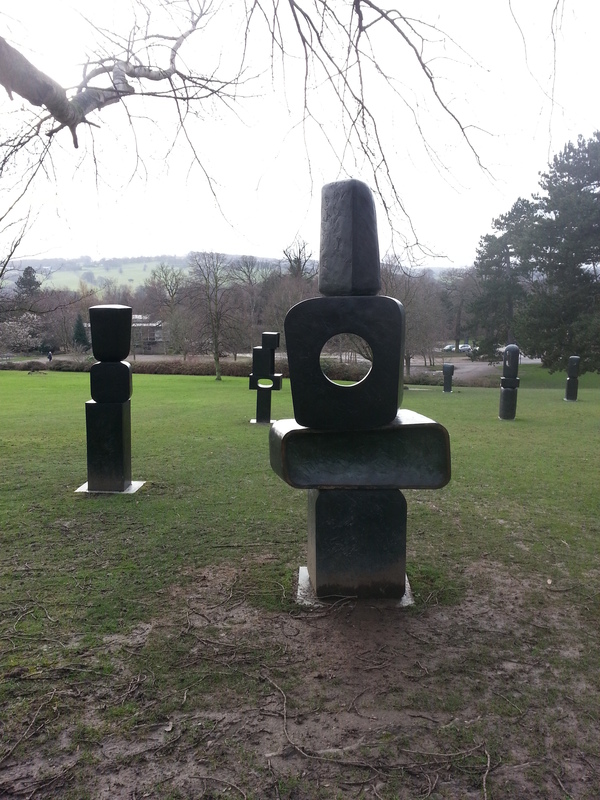 During our week of culture in Yorkshire we enjoyed viewing her work at the sculpture park and at the Hepworth Wakefield Gallery. 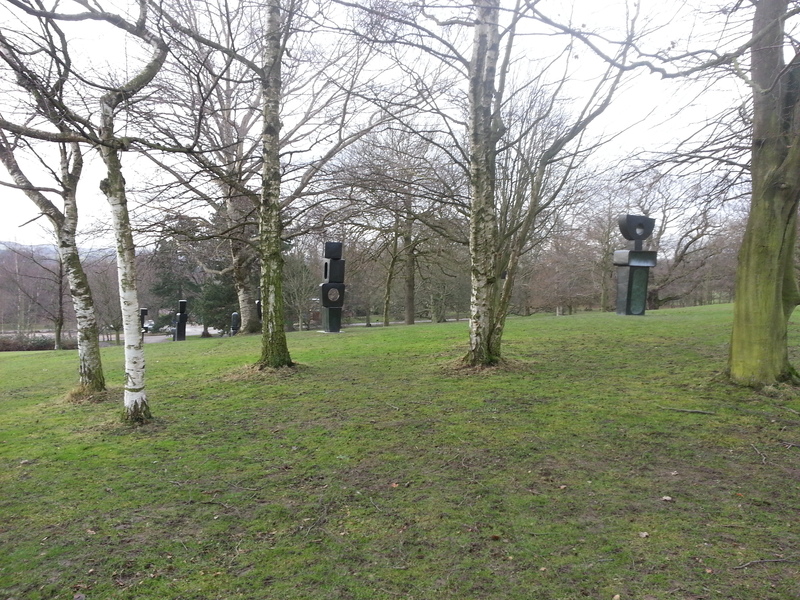 At the sculpture park we particularly we enjoyed her “Family of Man”. 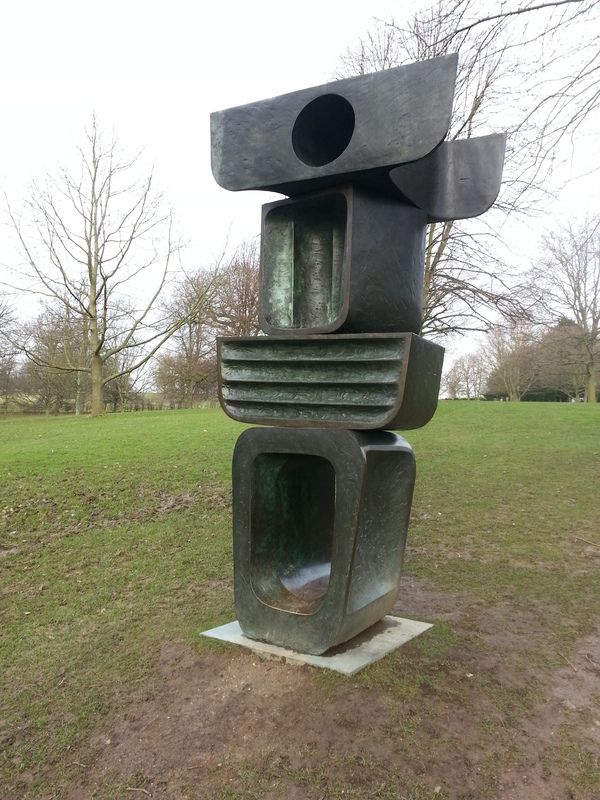 We liked it enough to actually send time looking at the individual pieces in detail, which wasn’t easy to do when the icy wind thrashed at our faces, making our eyes and noses run. 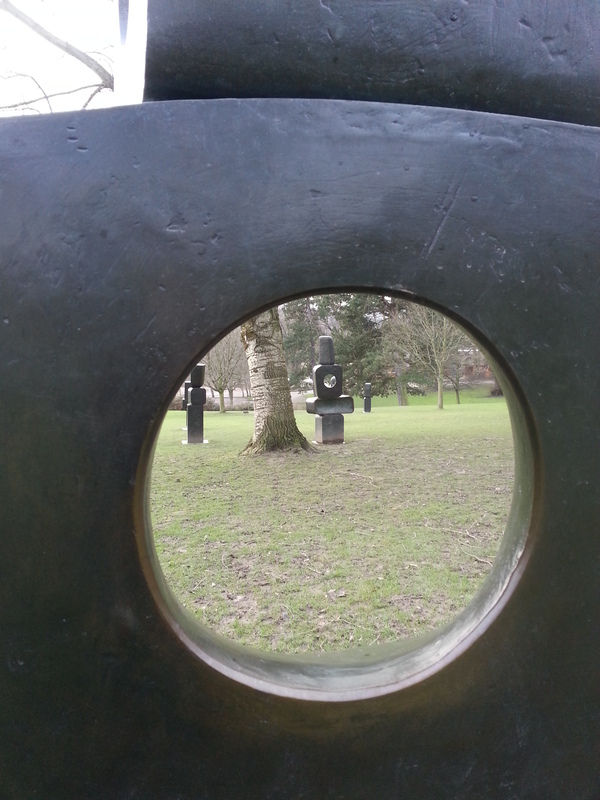 Each time I stopped to take a photo I had to dry my eyes in order to see what was going on in the viewfinder. 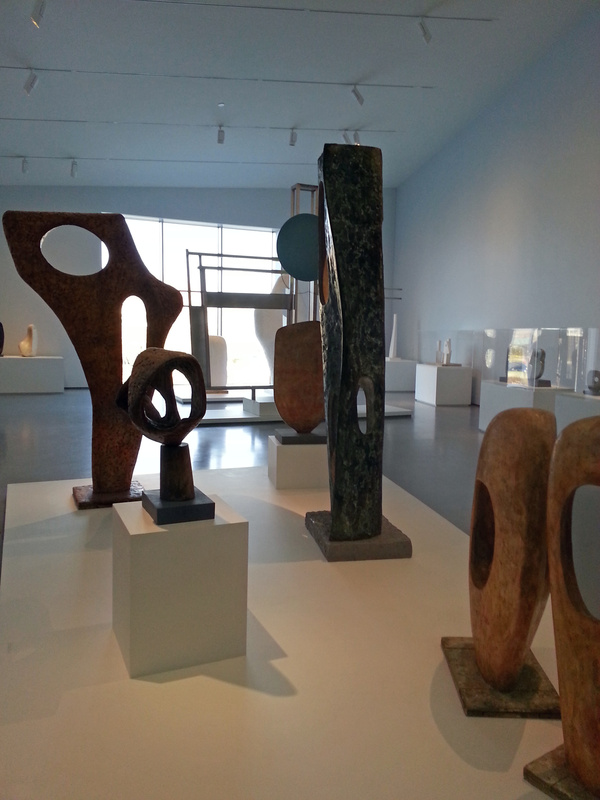 At the Hepworth Wakefield Gallery I relished the opportunity of seeing some of her designs, models and and mock ups of wellknown pieces. 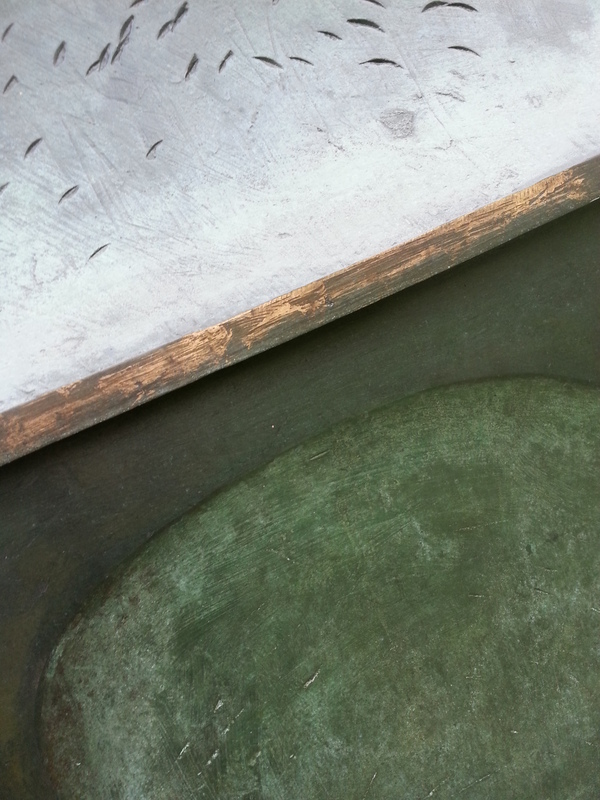 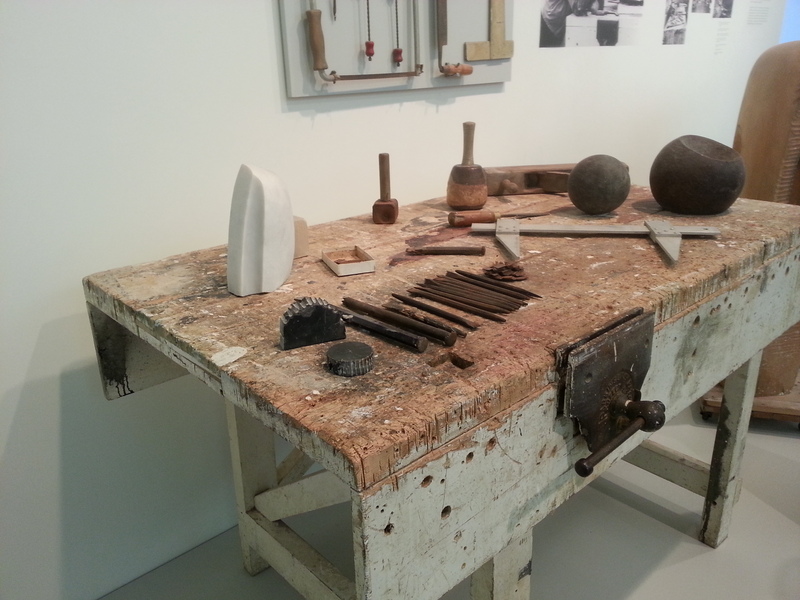 A real surprise was a work bench displaying tools that Hepworth actually used to create her masterpieces. 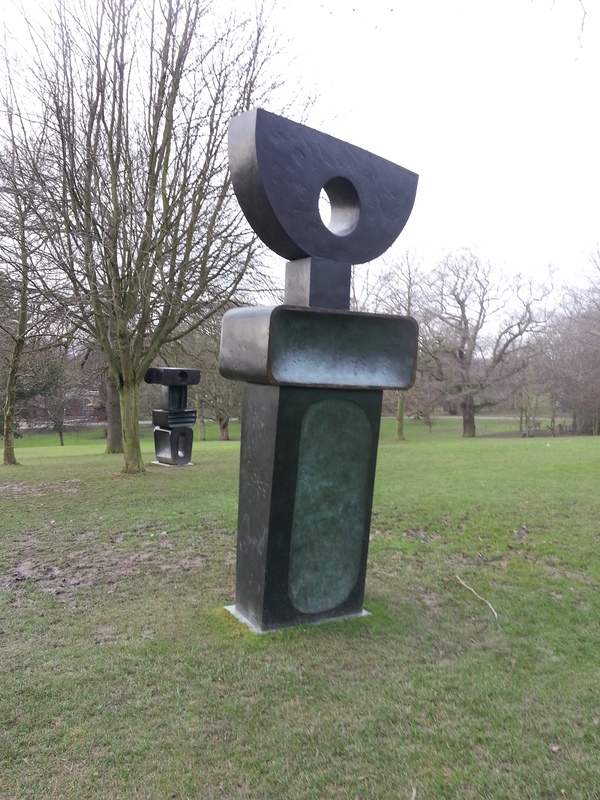 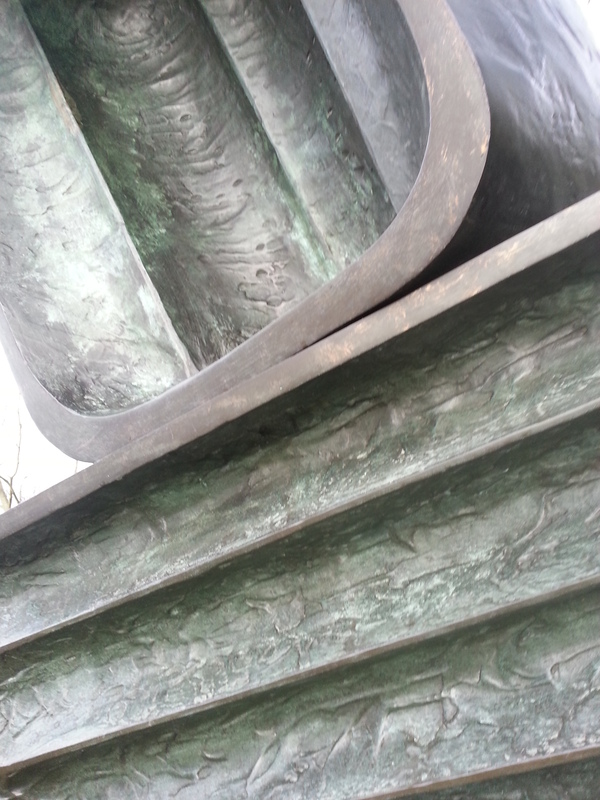 We even have a couple of repro pieces of Hepworth sculptures in our garden and at the gallery we were enthralled to see the genuine articles and surprised at how large they were when viewed full sized.